Nintendo on its first weekend in the UK sold 40,000 Wii U consoles reports claimed. 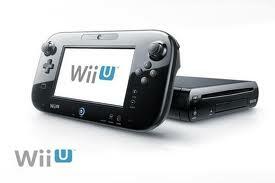 Wii U console was launched on Friday 30 November. Microsoft Xbox 360 on the other hand sold 165,000 PlayStation 3S in the same period on its launch in 2007. Sony shipped huge stock from first day of launch with 220,000 units available. MCV, Games industry trade magazine also states that for every console bought two games have been sold . The figures exclude online downloads from Nintendo’s store.